Hey all, I was talking with a friend of mine about large CC tubas. My question is what is the largest Rotary CC tuba that was made (staying in the practical market excluding the insanely huge Rudy 6/4 horns) I play the Rudy 5/4 which is a huge beast and to my knowledge the biggest rotary CC out there. Cerveny makes a huge one. The B&S Neptune is a very large CC tuba. Basically a PT 6, but with a 20.5" bell. 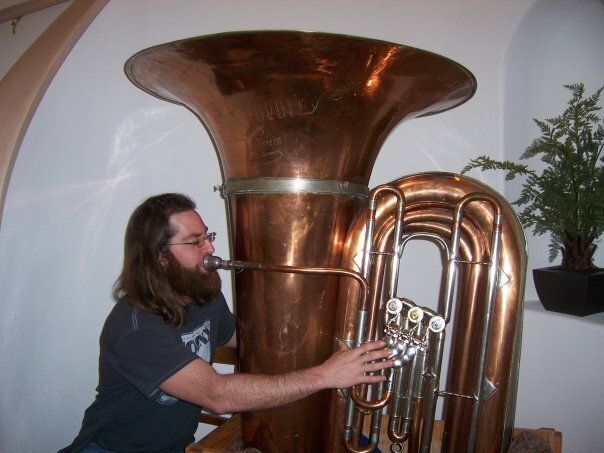 The Alex 164 is a Kaiser CC tuba and also very large. My Willson is big, but the Rudy 5/4 is one size bigger. Not many 164's in CC, but a few more in BBb. * a Martin tuba that was/is for sale in Chicago. Basically a short and squatty Martin tuba, with a very large bell. Pretty wild looking tuba, got to be the only one around. * A Willson 6400 CC exists, but maybe only on paper? It is super rare, at the least. Similar to the 3050, but with a taller bell and more of a Kaiser tuba wrap. Pretty sure Gronitz would (have been able to) make their big tuba in rotary form, too. That would be the CZK or something like that? 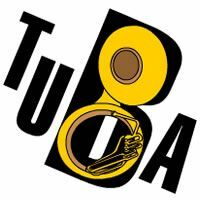 Large rotary tubas, and the quest for the best one, has been my thing for about the past 10 years. The problem is that "rotary" and "CC" are really not much of a match compared to BBb and rotary ,or CC and piston. So there are fewer models to begin with,and even fewer models... And examples of them... At the far end of the spectrum. Yes, there are in reality and on paper some big rotary CC tubas. But they are just very rare, and hard to track down. The Rudy 5/4 actually seems to be rather common, all things considered, possibly because they are such great tubas. The big Cerveny tubas are also not uncommon, probably because of their historically low prices. By comparison, my Willson is one of about 5 that i know of in the US, and maybe about 10 in the world. Probably a few more than that, but still a very low number. Bort, how does the MRP CC compare to a Neptune size wise? Probably pretty similar, but the MRP would have a smaller bell, and a slightly smaller bottom bow. My understanding is that the Neptune is basically like a PT6, but with a slightly larger bottom bow, and a larger bell. And then the MRP is about the same size as a PT6. Naturally there are going to be other differences, but that's the general idea. There's a really big rotary CCC in Texas. I dunno if it's for sale, though. What, only 3 valves on that huge Texas horn?! Lame. bort wrote: Probably pretty similar, but the MRP would have a smaller bell, and a slightly smaller bottom bow. Isn't the MRP basically a PT-6 with a Fafner bell? The PT-6 has a M-W 25 bell on it (with slightly more 'pancake'). Question - does anyone know if the Neptune and old M-W 2165 share the same bell? I know the bugles are different on those two. But what about the bell? It's been many years since I've played those, but the bell size & taper seemed very similar between those two. The largest CC that I have played is the old Miraphone 190 Kaiser. I think the old Miraphone 190 is bigger than any of the current Miraphone CC rotary valve tubas. A close second are the ancient Cerveny Kaiser tubas imported by Louis Vitak of Chicago before 1930. Most were in BBb but I have played a CC. Rudy made a 7/4 tuba that I've played but I honestly cannot remember if it's BBb or CC, it was like trying to play a scale on the Empire State Building and that's all I can remember about it, I am still in shell-shock. Don't forget the M-W "Tuono". This CC looks, feels and sounds BIG. However, you have to special order them which takes many months. They don't come cheap, either. barry grrr-ero wrote: Don't forget the M-W "Tuono". This CC looks, feels and sounds BIG. However, you have to special order them which takes many months. They don't come cheap, either. It's been a few years since I've played a Tuono, but I remember really liking it. That was before I owned my Willson, or really spent serious time with any large CC tuba. I'm curious how I would find that the Tuono and Willson compare with each other now? They are both large tubas with large voices, and pretty sure there's not a lot of times either tuba would be "too small." I'm sure there are plenty of differences... but I forgot how similar they look. horn you can play nimbly. "a martin would be a very interesting CC tuba but I doubt it would play as well." nobody offered a cso copy at any price. 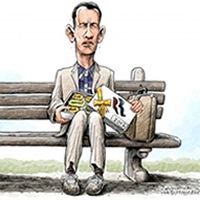 I miss Bob Rusk, He very much inspired me.